Why are golf lessons primarily delivered on the driving range and putting green rather than on the golf course itself? Clients often request to be instructed on the course and at times I am more than happy to honour their request. More often than not however, I decline based on a variety of reasons. There can be some complexity to my answer; however, the simple response is that it is rarely a good environment for learning. The course is never a good place to take clients who need to work on swing mechanics, chipping technique or putting basics. The driving range or putting green allows us to make technical swing changes and put in 40-50 practice repetitions in just over a 45-minute span. This helps generate feel, rhythm, momentum and habits with the changes. Inversely, on the course, the repetitions are far too spread out to generate progress. In the same time window (45 mins) on the course, you may only get a dozen swings in. Time spent collecting your golf balls, commuting from hole-to-hole and navigating around the other golfers sharing the course with you simply make the process terribly inefficient. Another factor is the consistency in the environment. The range allows us to set-up for the same swing, with the same club, to the same target, from the same lie and the same wind conditions over-and-over again. 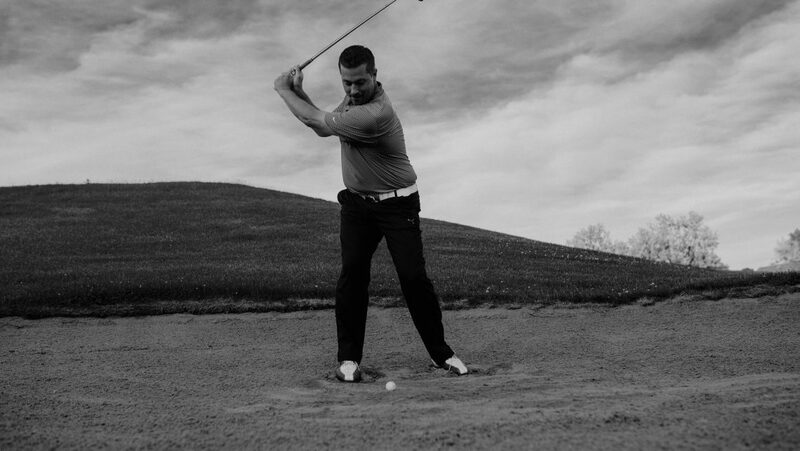 It is much easier to monitor swing changes and progress in a situation with less variables present. We always want the player to be the only variable in the equation when learning. Obviously, the golf course presents the exact opposite scenario. No two shots are the same in any way, shape or form. It is simply far too dynamic an environment for learning. Are on-course lessons ever useful? Yes, but it depends a great deal on the skill level of the player I am working with, as well as the precise problem they are concerned with. We need to know what we are working on before we determine where to work on it. The course is a great place to work on things like shot selection, course management, pre-shot routine, visualization, specialty shots – hitting off slopes, long grass, etc – and emotional management. These types of things present unique situations which require us to replicate a specific scenario to learn in. It is important to remember; no two clients are the same. Therefore, lesson plans will rarely – if ever – look the same from one client to the next. Lesson location, format and instructional focus are always personalized. There is a time and place for on-course instruction and you may want to ask your instructor if and when it is right for you.